As announced last week, Sting & Paul Simon, two of music’s most renowned and enduring artists, will perform On Stage Together on a tour throughout North America in February and March 2014. Live Nation Global Touring confirmed today that due to demand, there will be an additional concert in Boston on March 3rd at TD Garden along with a second and final performance at New York City’s Madison Square Garden on March 6th following an immediate sell-out in that city. As friends for many years, their collaboration on a tour is a natural fit. Both of these artists have explored world rhythms and pushed the boundaries of popular music, and through their music, continue to speak to generations of fans. At each performance, audiences will be treated to the unique pleasure of experiencing these two innovative musicians On Stage Together, in addition to solo performances with their respective bands, in what will surely be one of the most highly-anticipated concert events of 2014. 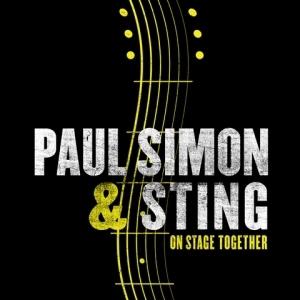 Tickets for the newly announced Sting & Paul Simon: On Stage Together concerts will go on sale to the public next Friday, Nov. 22. The artists’ fans will have access to a pre-sale through their respective official websites, starting Thursday, November 14 at 10AM local time. American Express® Card Members will have an opportunity to purchase tickets before the general public. Live Nation Entertainment (NYSE: LYV) is the world’s leading live entertainment company comprised of four market leaders: Ticketmaster, Live Nation Concerts, Artist Nation Management and Live Nation Media/Sponsorship. For additional information, visit www.livenation.com/investors. Sting sits down with CBC's Susan Ormiston to talk about a deeply personal project with a Canadian connection. Due to high demand, a limited number of additional tickets have been released for the Week One fan pre-sale, across all cities. Ends tomorrow at 3PM (local time).